Avalanche warnings are in full effect for the south coast, Vancouver Island mountains, and through most of east-central and southeastern British Columbia as we enter the new year. While there are many safety tips going out to skiers, snowboarders, and homeowners/visitors within respective resort communities, all drivers on elevated roads leading to/from BC need to be on high alert too. Park insurance is here with our guide to safer driving through avalanche season in the province. The best way to keep safe from the threat of an avalanche is to avoid its path altogether. For drivers, that means obeying all road closures and carefully monitoring conditions for the highway they intend on driving through. Avalanche Canada provides up to date forecasts for at-risk zones across the country, including BC, but drivers should also reference both Drive BC and local news for updates prior to a trip. If your preferred route looks risky then delay your trip or at the very least go with the safer alternative. That may mean swapping the Coquihalla for Allison Pass, or vice versa, but in the end it’s better to err on the side of caution. Year after year, we deliver an updated list of winter season driving best practices. 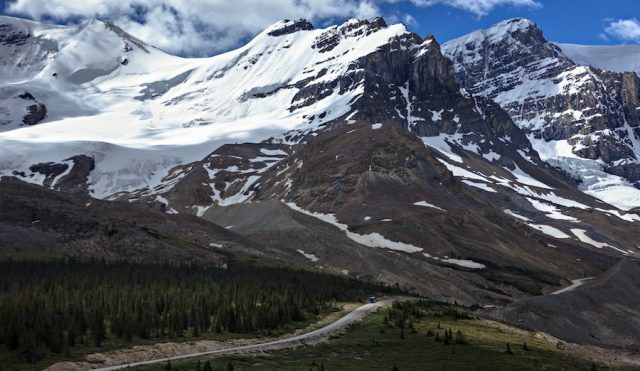 In following this evolving guide, you will be less likely to experience a motor vehicle accident (MVA), an event that increases your risk of falling victim to an on-road avalanche incident in the first place. After all, the last place you want to be in a fender bender or more significant MVA is a high risk area where even a short term stall or stoppage can put you one clock tick closer to an impending torrent of ice and snow. View our most recent guide to safe winter driving before you hit the road this season. If there is a sudden and significant increase in rain, temperature, snowfall/drift, or wind it is a good idea to drive to the nearest town or other safe haven and spend the night. It’s far better to lose a day or two towards your destination, than your life. Humans are also responsible for triggering avalanches. Human triggers include skiing, snowboarding, snowmobiling, and the use of explosives. While there is little you can do about the activities of others while you are on the road, be especially mindful when driving through the mountains passed ski resorts in addition to mining or construction operations. Have your passenger keep an eye on the slopes as you drive efficiently through these zones towards a safer stretch of highway. If an avalanche blocks the road before you, turn around (if possible) and drive to a safe area as additional avalanches are likely to follow. If you can’t retreat, remain in your vehicle with your seat belt on, call 911, and await assistance. 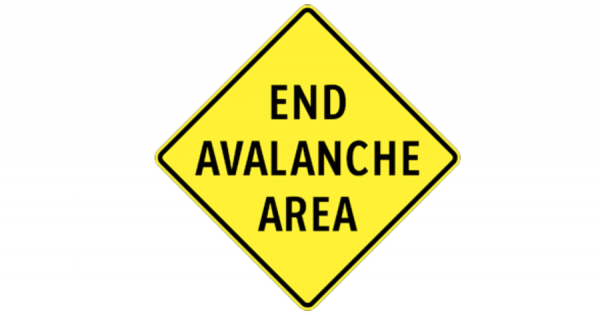 Do not attempt to walk or drive through an avalanche. If your vehicle is trapped, turn off your engine so that the cabin does not fill with carbon monoxide. And as always, let a trusted friend or family member know when you’ll be on the highway and when they should expect to hear from you upon arrival. If your vehicle is stuck in snow and debris after an avalanche you’ll find some peace of mind in knowing that there is someone there to alert authorities should your ETA window not be met.